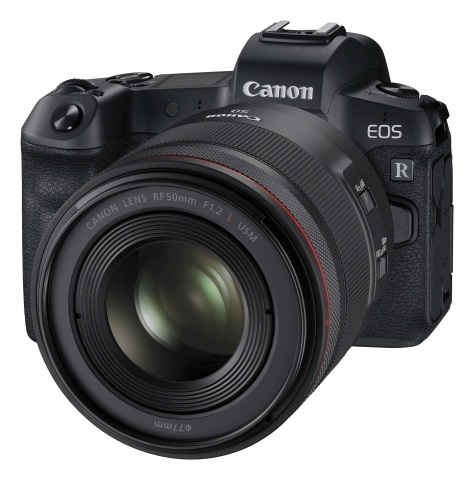 DUBAI, United Arab Emirates--(BUSINESS WIRE)--Canon Central and North Africa (CCNA), a provider of imaging technologies and services, has today redefined the frontiers of photography and filmmaking with the launch of the pioneering EOS R System. Over thirty years on from the original, era-defining EOS launch, the bold, new EOS R System will once again expand photographic possibilities in countless ways. The new RF lens mount has been engineered with the perfect blend of optical, mechanical and electronic design to capture unique moments in previously impossible ways. Since its inception in 1987, the EOS System – including Cinema EOS – has grown into the most recognised imaging system in the world. Today’s introduction takes the EOS platform to new heights, incorporating the best from the existing system, with even greater levels of performance, lens design possibilities and creative flexibility. The new RF mount has been built on the strengths of the existing EF mount and is the result of detailed research by Canon engineers, who have designed an impressive optical system with a flange back distance of 20mm and a wide 54mm diameter lens mount - allowing for even greater freedom when designing lenses. The new mount’s 12-pin connection enables enhanced communication and power transmission between the lens and camera body, further enhancing lens design options, resulting in higher image quality and enhanced usability.